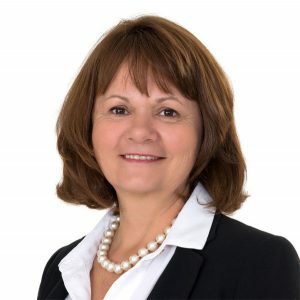 Sylvia Germain, Founder and President of SGE Consulting, has more than 30 years of experience in the field of market access for health technologies in Europe. Sylvia began her career at the Laboratoire Central des Industries Électriques, and more specifically, as part of the GLEM (Association of Laboratories for Testing of Medical Technology Materials), renamed G-MED, a French notified body). There she worked on the technical investigation of medical imaging as part of the French Ministry of Health approval. Armed with 15 years of experience, Sylvia joined the regulatory department of an international CRO (Clinical Research Organization) as a Regulatory/Clinical Consultant. There she used her expertise to create the department for market access and reimbursement of health products. She ran that department for nearly fifteen years, at the head of a multidisciplinary team specializing in the development of reimbursement and pricing strategies and preparation of reimbursement dossiers for Europe. In 2016, she created and managed her consulting company specializing in regulation of market access and reimbursement of innovative technologies. Sylvia is a Expert Lecturer on Medical Devices at the University of Franche-Comté in Besançon (ISIFC). At the University Claude Bernard Lyon 1 (Polytech Lyon) Sylvia works with future engineers and pharmacists, providing them with the necessary market access knowledge for innovative health technologies.